Bending and edging of sheet metal – ITB Engineering & Production s.r.o. Edging (or simple bending) of sheet metal is one of the basic and most common methods of sheet metal processing. 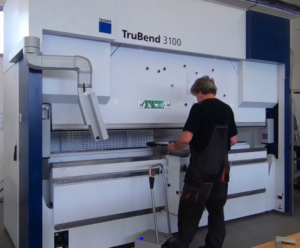 The highest current requirements for sheet metal precision and productivity are met by CNC bending machines and presses. We have extensive experience in bending and edging and you can contact us in this respect at any time.